As plant enthusiasts, the Plantscapers team strives to know the ins and outs of all the plants that we use to create your indoor environments. I was recently asked by a client to make sure that all the plants that we used in her home were pet-friendly since she had a new puppy that loved to taste-test the scenery. We like to think of the toxins that plants take out of the air, but many are also toxic themselves if ingested. Here are five of the most popular but also dangerous plants. Calcium oxalates are the main culprit, often in the form of raphites, or insoluble crystals. While calcium oxalate generally has a mild effect on humans, some are more sensitive than others. Children are very susceptible to calcium oxalate poisoning, as are pets. Once ingested, symptoms include increased salivation, swelling of the tongue, vomiting, convulsions, decreased alertness, breathing problems, lack of appetite and difficulty swallowing food. If the skin comes into contact with the sap, it may cause a burning sensation on the skin, irritation or swelling to the lips and/or tongue. 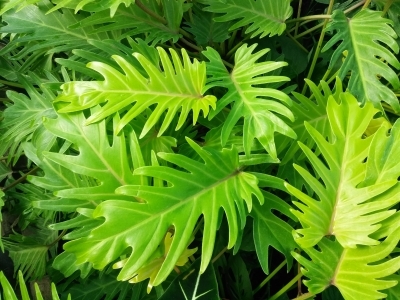 Philodendron: Philodendron is popular as it is one of the easiest plants to grow, needing little light. The leaves can be toxic if large amounts are ingested and the sap can be irritating to the skin or lips and tongue. Keep philodendron on high shelves out of the reach of kids and pets. Keeping leaves trimmed back will also help keep strays from landing on the floor and tempting curious hands and paws. This will also keep the plant healthy and encourage new growth. 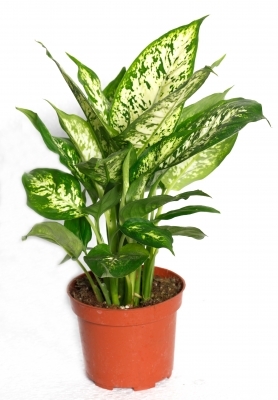 Dieffenbachia: Dieffenbachia is better known as dumb cane. Its large, colorful leaves can add beauty to any home or office, but because of its highly toxic nature, we rarely use them in our designs. Dumb cane contains not only needle-shaped calcium oxalate but also a protein called asparagine. If your child ingests dumb cane, symptoms can include difficulty breathing or swallowing. Take them to the ER immediately or contact poison control. 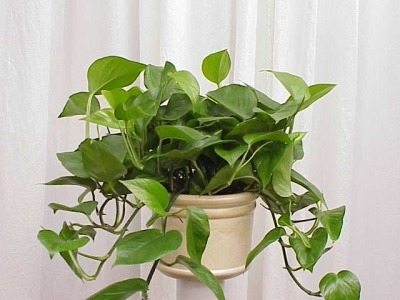 Pothos: Golden pothos, commonly known as Devil’s Ivy is listed on the American Society for the Prevention of Cruelty to Animals (ASPCA) has listed this houseplant as toxic to both cats and dogs. Both stem and leaves contain calcium oxalates. 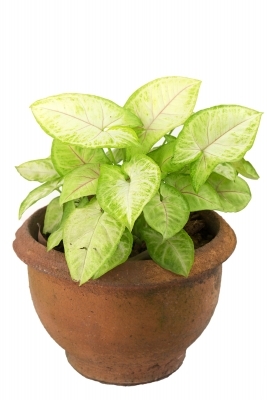 As long as pothos is kept in a safe place, it’s an easy and beautiful addition to nearly any indoor landscape. Read more about it here. White Butterfly: White butterfly features attractive heart-shaped leaves that add beauty to any home or office decor. It’s easy to maintain as well, making it a popular choice. Unfortunately, the sap of white butterfly can be highly toxic to both pets and kids. To keep all safe, keep white butterfly trimmed to prevent loose leaves from falling to the ground. It grows quickly so keep an eye on it. 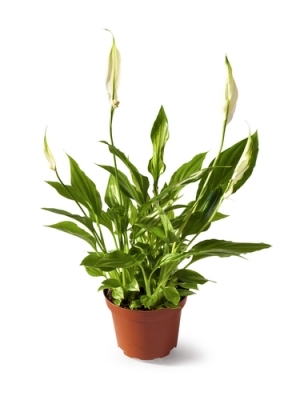 Spathiphyllum: Better known as the peace lily, spathiphyllum is a popular choice, especially in traditional designs. Peace lilies can come in many sizes, so they fit in with a variety of decor schemes. Not only does the peace lily contain raphites, but it also contains alkaloid lycorine in the bulbs and stems, which can cause swelling of the lips, mouth, and tongue, nausea, vomiting, diarrhea, and difficulty swallowing. If your pet or child has ingested any of these five plants, contact your local poison control center. 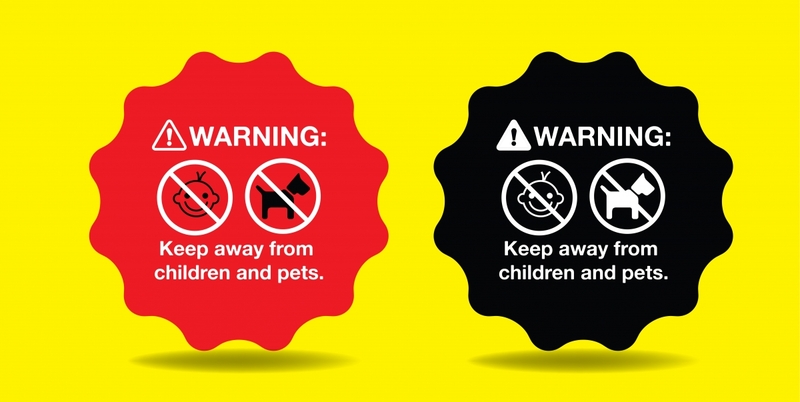 If symptoms are severe, take them immediately to the ER or veterinarian. Before it comes to that, though, contact your local plantscaping expert and allow us to help you create a toxin-free interior plant design scheme.